Swimming Pools, Spas, Hot Tubs, Jacuzzis | Haney Landscaping, Inc.
Are you ready for a relaxing swim or soak in your backyard? Do you want an inground shotcrete swimming pool or gunite swimming pool? Would you like a freeform shaped pool that will accent the flowing lines in your landscape? Perhaps you prefer a more contemporary rectangular or L-shaped pool. 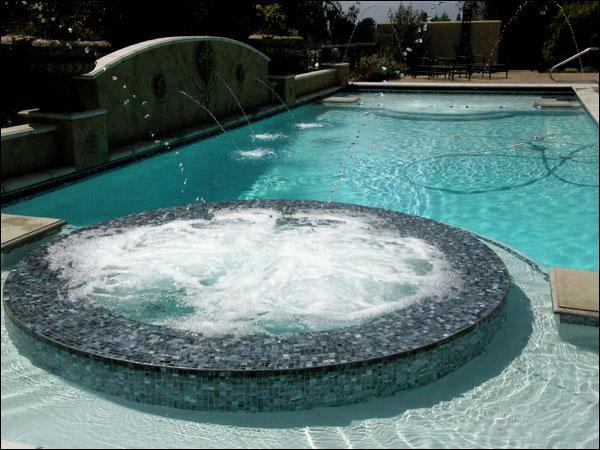 Any swimming pool can be custom designed and built to suit your style and budget. An inground swimming pool can be an architectural feature in the yard. To enhance this dominant focal point, custom shapes, waterfalls, lighting and deck jets, can all be incorporated into the design of your custom swimming pool. 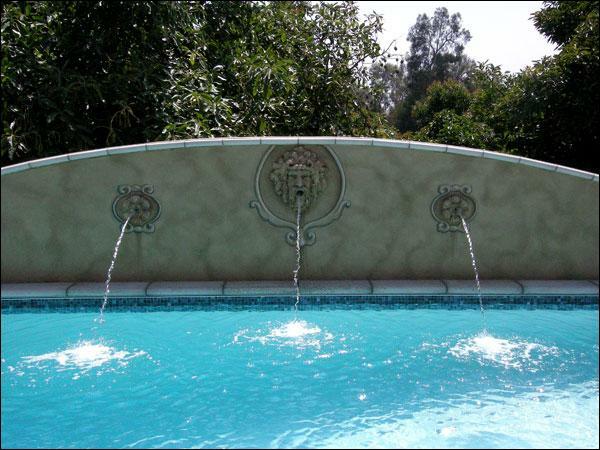 We are experienced in designing and building inground shotcrete and concrete swimming pools, gunite swimming pools, spas and hot tubs in Santa Barbara, Carpentaria, Ojai, Ventura, Camarillo, Oxnard, Thousand Oaks, Westlake Village, Agoura Hills and Newbury Park.